Viber for BlackBerry OS 5 and 7 gets voice calling | BlackBerry Blast! Viber has updated its BlackBerry app to support free voice calling. Interestingly, the app does not support BlackBerry 10. 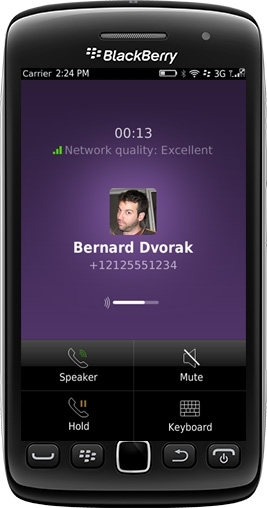 The voice calling feature works on BlackBerry OS 5 and 7. Apparently, BB OS 6 cannot handle it for some reason. Viber CEO Talmon Marco said , "BlackBerry is one of the most important markets for us and represents our third largest user base. We are thrilled to bring this community free voice calling, letting them communicate freely with all of their important contacts across multiple platforms." The Viber app for BlackBerry is still in beta, but you can try it at the link below.